One of the main historical sights on Saaremaa Island is the unique episcopal castle in Kuressaare, which dates back to the 13th century. 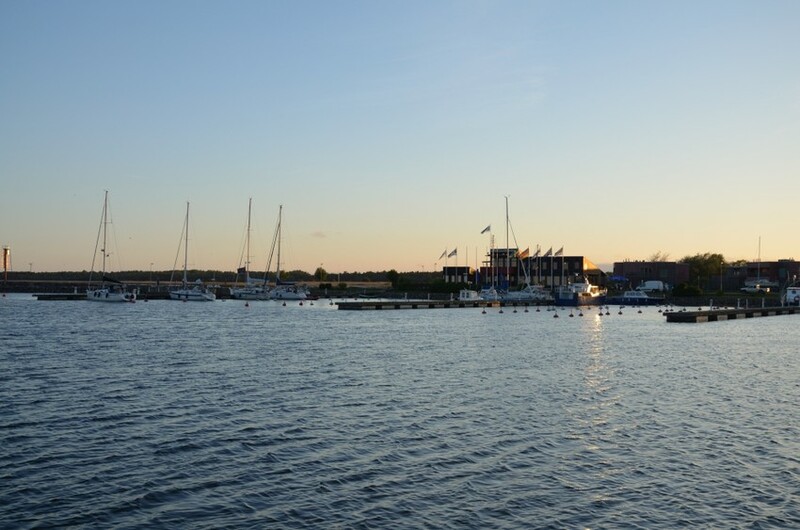 Today as well, the Kuressaare marina is located close to it, in the site of the historical port. 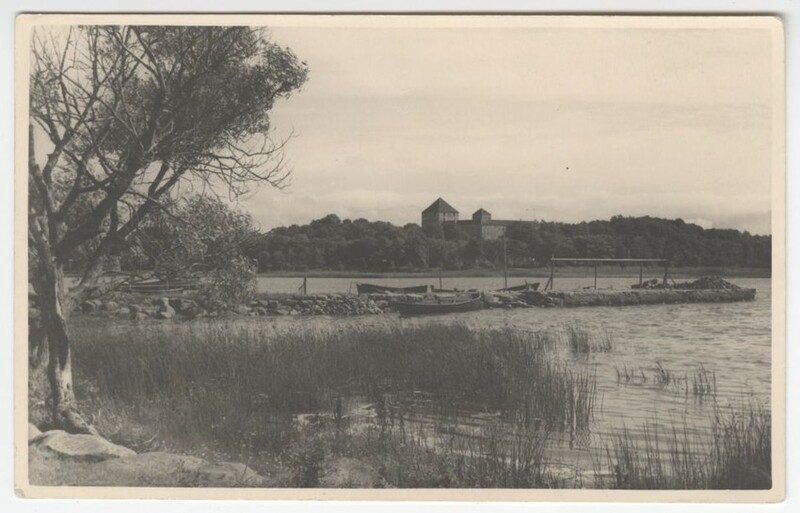 Kuresaaare (known as Arensburg until 1917) is believed to have had a port even before the castle was built. Among other eras, the port prospered during the period of Danish rule from 1559-1645, when ships from Saaremaa were allowed to sail through the Danish Straits without customs duties, as both sides belonged to Denmark. The rest of Estonia was under Swedish rule at that time and ships from other cities had to pay the duty. Thus there was a brisk trade in grain shipped to Saaremaa and on to other parts of Europe. After the Great Northern War ended in 1721, Saaremaa came under Russian rule, as did the rest of Estonia. Fishing infrastructure and taverns started going up in Kuressaare, but trading operations went into decline and ties with the West were severed. As the water line receded due to post-glacial rebound, larger ships had to remain anchored offshore. The port regained its former level of prosperity in the 19th century when steamships with paddlewheels came to the town and Kuressaare became a popular resort known throughout the empire. The shoals and accumulation of sand in the port limited growth and in the late 19th century a new port began to be built on the outskirts of the town, at Roomassaare. Recreational uses became primary in the former port and its waters. The port was used primarily by members of Kuressaare's yacht club and local fishermen. After Second World War, during the Soviet occupation, the port was mainly in use as a fishing port with a place for receiving the catch. After Estonia regained independence, the port became administered by the Kuressaare City Government. 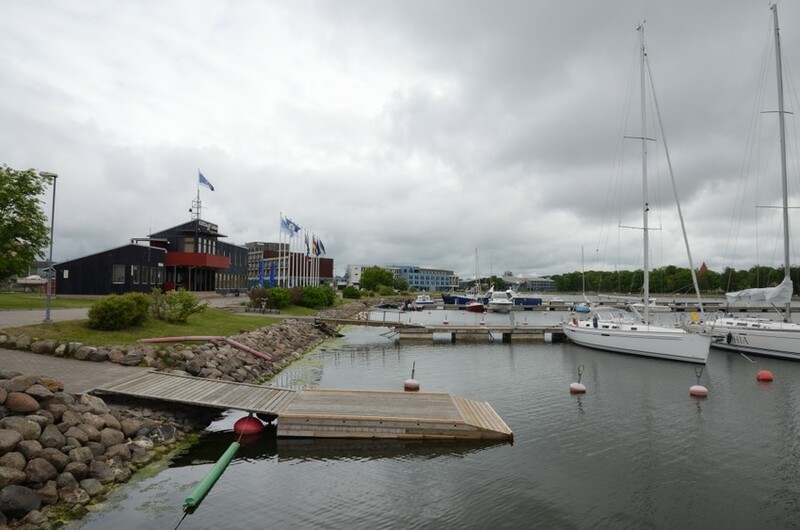 The city's new marina was built in 1999 in the same location that had been occupied by the Baltic Germans' yacht club in the early 20th century and the club house (1909-1944). Kuressaare Port and yacht club building in 2014. 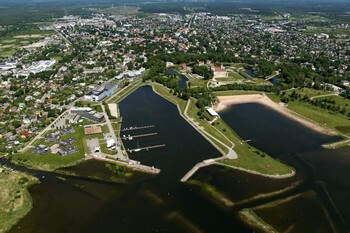 Aerial photograph of Kuressaare marina and beach in 2012. 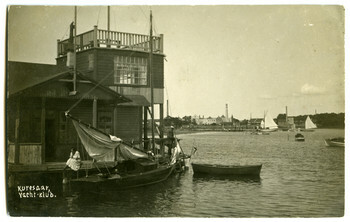 Kuressaare marina and yacht club in the 1920s. 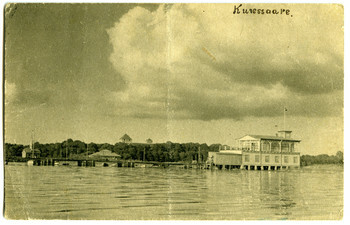 Kuressaare pier in the 1930s. Kuressaare yacht club in the early 20th century.